Well, it's getting pretty deep and fascinating around here, for sure! After a break of several days, during which time we had a houseguest from Europe, (and more coming next week!) I am now back to writing at the very point where things are going to get super interesting! At the same time, current events are quite instructive, so I often find myself intertwining the lessons of the present with the lessons of the past in this series. As it happens, our houseguest is a brilliant theoretician and programmer, and plans have been in the works for some time for a collaboration on certain aspects of Ark's theoretical work. During the past ten days, a significant breakthrough was accomplished after just a few days of high voltage brain storming. And again, as is the general dynamic, it seems that each breakthrough we make in unravelling the secrets of the Matrix, the Matrix itself attempts to damp the expansion of knowledge through its agents. It is downright uncanny how that works! The members of our research team and discussion group regularly marvel at how each amplification of the wave of knowledge produces a reaction from the Control System. If nothing else, this evident correlation convinces us that we are definitely onto something! Considering this element, I want to call the reader's attention back to the remarks of Mr. Colin Bennett who described in the previous chapter, the crypto-geographic personalities as "living, breathing, huge animated forms which have the ability to penetrate human awareness the way ivy weaves through an old house." These suprahuman forms are "quite conscious, aware, and active." These unnamed dramatis personae demonstrate over and over again that humans are not lords of creation but part of an evolving chain of being, shading from 'solid' to almost nothing. This chain consists of animal, vegetable and mineral domains, all of which have dynamic anthropomorphic elements that we ignore at our peril. Bennett rightly observed that such beings "speak" through simulacra and weather, atmosphere and geology, coincidence and dream, and that human beings are poised between the animal kingdoms and the realms of the gods. He also noted that these connections between environment and social character, motivation, etc, are evidence of supra-human agendas. It seems that Colin Bennett is aware of something that many others do not seem to consider as a possibility: the evidence of hyperdimensional beings. And, of course, if this hypothesis is correct, without such a theoretical understanding of it, there is no possibility of man becoming free of this Control System. What Mr. Bennett does not, however, address, is the manner in which these hyperdimensional beings create and utilize seemingly ordinary human beings as simulacra, and they "speak" through these "agents of the Matrix" the same way they "speak" through weather, geological events, dreams, and so forth. And through these "simulated humans" they manifest their supra-human agendas. A: Several answers follow: Number One, Nobody is a "nobody." Number two, it is no trouble at all for aforementioned forces to give seemingly individualized attention to anybody. Number three, Terry has been targeted and so has Jan and others because you are on the right track. Number four, This area is currently a "hot bed" of activity and extremely rapidly expanding awareness. Disinformation comes from seemingly reliable sources. 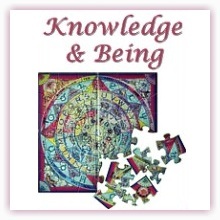 It is extremely important for you to not gather false knowledge as it is more damaging than no knowledge at all. Remember knowledge protects, ignorance endangers. The information you speak of, Terry, was given to you deliberately because you and Jan and others have been targeted due to your intense interest in level of density 4 through 7 subject matter. You have already been documented as a "threat." Remember, disinformation is very effective when delivered by highly trained sources because hypnotic and transdimensional techniques are used thereby causing electronic anomalies to follow suggestion causing perceived confirmation to occur. Of course, after such an answer, I began to think of the whole problem in strictly ethereal terms, something that traps a lot of researchers. The Cassiopaeans disabused me of that notion! Q: [...] (S) I don't want to sound paranoid, but all the reports about mind programming... is it as widespread as we have been lead to believe? That it could be the guy next door, and a certain color, or word or sound could set them off? [...] (L) What is the percentage of programmed people? A: 2 out of every 100. Q: (L) How many are programmed by human means? A: 12 per cent of the .02 per cent. Q: (L) So, out of every 1,000 people, there are 20 that are programmed, and 12 of these are programmed by aliens, as in 4th density STS? A: Understand that 4th density is physical, indeed. You are drifting further and further toward an ethereal only perception/theoretical position. A: No, Laura, we are saying that there is really a very strong "nuts and bolts" reality to this phenomenon, and don't ignore it! One has to wonder why the Cassiopaeans put "nuts and bolts" in quotes? It was only much later, as I was gathering this material together for this series, that I realized the connection. You see, May 25th is Maynerd Most' birthday. Four years later, just prior to a series of events that we will soon recount, on the Feast Day of St. Mary Magdalen, Penitent, at a session attended by six women members of our discussion group, (seven, including myself), Mr. Most was discussed specifically, and we here discover another clue that relates to the "nuts and bolts" remark that was put in quotes to set it apart for special notice. Q: I had a call from Maynerd Most who informed me that the Wave Series was really creating a stir. It seems that he has had a connection to this Dr. Hammond of the Greenbaum lecture fame, [This turned out to be another of Maynerd Most false claims] and also had a number of exchanges with Andrija Puharich, [another of Maynerd Most fraudulent claims] and it is Maynerd's contention that the UFO phenomenon, the alien abduction phenomenon, and the many and varied other things we talk about and study and discuss, are a product of super advanced technological, human controlled mind-programming projects using the technology of Puharich and Tesla. Yes, it is supposed to be so advanced that they can not only read minds and can control minds, but that it is, in the end, merely human engineered programming. Is he, even in part, correct? Q: (L) He also said that it was his opinion, that the center of the web of all of this mind programming conspiracy, is in Tyler, Texas. Is that correct? A: We feel that [Maynerd] needs to recharge his batteries a bit. A: Better not to get too carried away. Remember, the root of all "negative" energies directed at 3rd density STS subjects, coming from 4th density, is essentially the same. Q: (LC) Are we being currently monitored by 4th density STS? 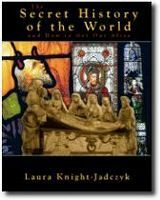 "Laura has written almost a quarter of a million words of semi-comprehensible apologia and in that spate of words we learned much that was unclear before. I think by now, we have all seen enough. More than enoughÄ Truly, making gentle good-natured fun of her is the best option at this point. It is all she deserves, and at least affords her a modicum of self-respect." You are visitor number 6757 since April 16, 2009[TextCounter Fatal Error: Could Not Increment Counter].